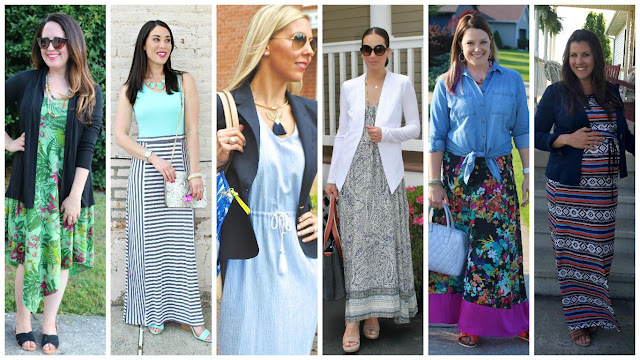 how to style maxi dresses for work! 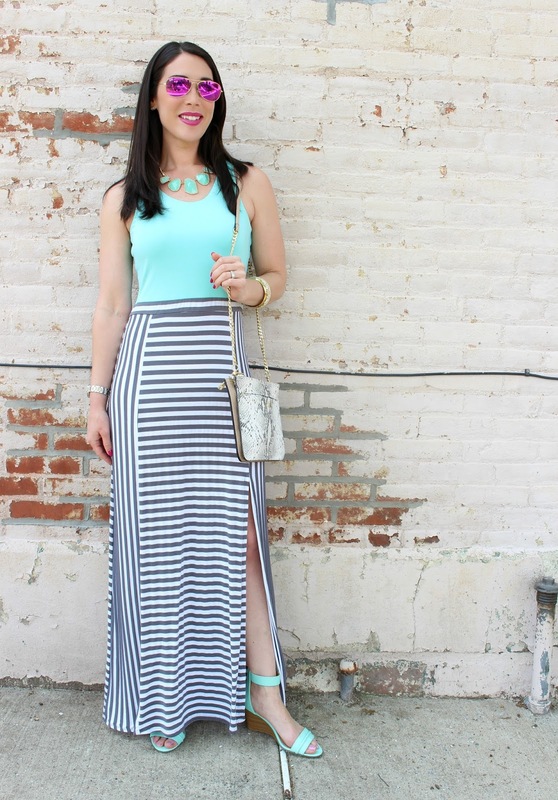 This mint, gray and white maxi is from Charming Charlie and was purchased last summer. I love the color and solid/stripe contrast. 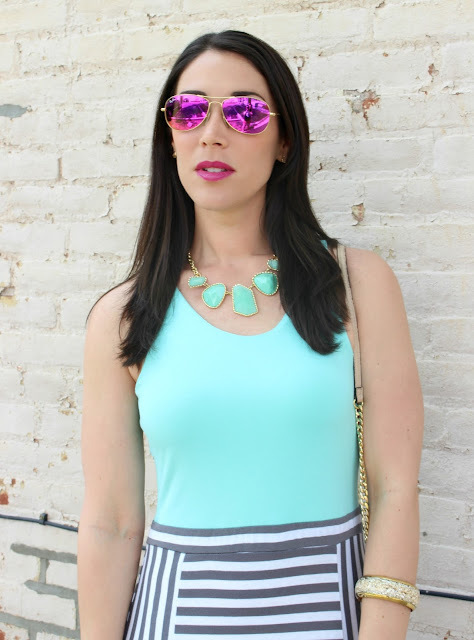 Mint is one of my favorite summer colors! This dress is so flattering and modest enough to wear to work, family parties, date night, church, etc! I would add a white cardigan or a jean jacket to this dress on chilly days or if sleeves are required for your work environment. I'm loving Charming Charlie's maxi dress collection this year- check it out here (they have several cute mint options!). My mint wedges are also from Charming Charlie! I love how perfectly they match the dress. The wedge is low, so they are pretty comfy. Charming Charlie has these wedges in a few colors in stores, but only the dark blue color online. I really like these mint wedges at DSW too (on sale for $39.95). Charming Charlie has gorgeous summer statement necklaces! My mint necklace was also purchased last summer, but they have a great selection this year, too! I really like their Kaya Cluster Necklace Set (earrings and necklace) for $15. If you read my blog regularly, you know I'm a big fan of Trading Hope jewelry! I'm excited to share my new brass bracelet with you all. It's on sale for $8.40!! This gorgeous bangle has small sea shell bits in it (so fun for summer!). I love supporting companies with a mission. Trading Hope provides women around the world with fair trade opportunities. Most of their jewelry is hand crafted by women in India! Thanks for reading and be sure to check out how my stylish friends styled maxi dresses, too! For more fashion inspiration, follow @styleinharmony! Lovely! I actually am so in love with those mint sandals and i typically wouldn't go for those. Super cute!! That color is so pretty on you! And those shades. Love! I love the colors in this dress!! The mint looks awesome on you and I like the grey and white stripes. And how adorable are those low wedges?!?! honestly i LOVE LOVE LOVE this. The mint matching is like AMAZING! So perfect for work or play...just love the look pretty girl! Love the stripes with pop of mint! Genius! OMG! 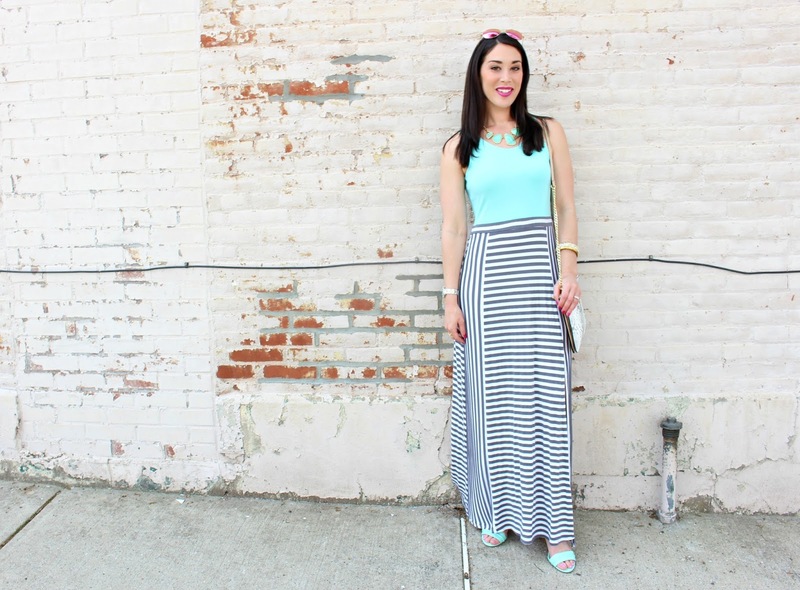 How cute is this maxi dress? I am loving all the mint!! YES! I remember seeing this!! 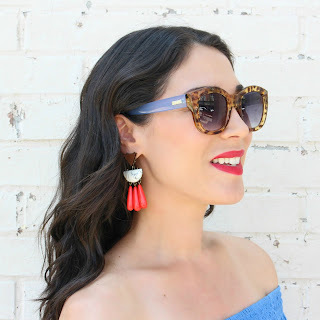 I am totally in love with all the mint, great, fun post!! That is a great dress and I love how you styled it with all the mint. This is by far my most favorite outfit you have worn. I have to check out the other ladies, also. 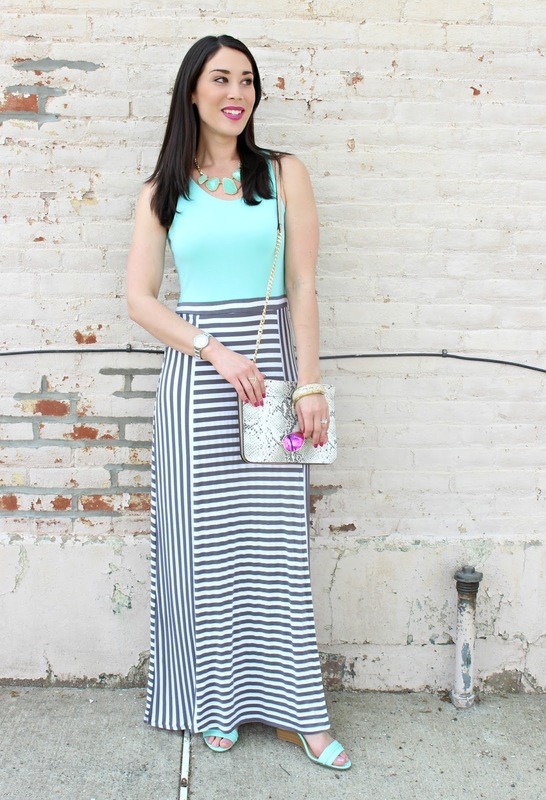 That maxi is gorgeous and I love that you went matchy-matchy with the other mint accessories. Believe it or not I have never been to a Charming Charlie. I need to go. 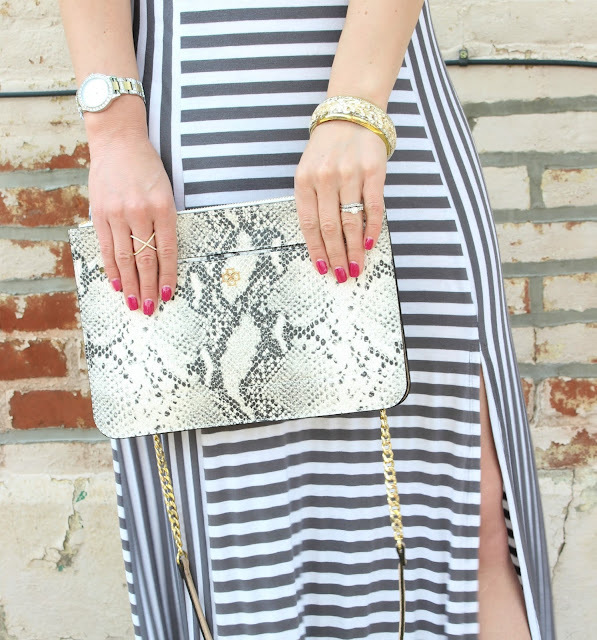 Also, the python clutch makes for a flawless mixed of patterns with the stripey skirt. This dress is adorable!! I love the mint and gray together,and those stripes are perfection!! LOVE! Your dress looks beautiful on you and it is styled so nicely! I love your clutch and jewelry.